Wambui Kori’s Death: New details have emerged in connection to the brutal murder of Wambui Kori which has gripped the nation. According to fresh reports, Wambui’s body was carried from the murder scene by a Toyota Noah that is owned by Michael Githae Mathenge. It has also emerged that Githae and Judy Wangui – who is Wambui husband’s girlfriend – have known each other since 2016. Police further say that Githae has revealed that early on January 26, Wangui had asked Githae to expect some business. “Police believe the “business” was disposing of the body using his car — a KCK registration series — which despite being captured on CCTV entering Fourways Junction Estate, where Ms Mungai has a home, and in which Ms Kamangara was apparently killed, has not been found. Police are looking for it,” says a report that appears in the Daily Nation. Apparently, Ms. Wangui was a regular customer at Githae’s car hire business. She is a key suspect in the murder alongside Wambui’s husband Joseph Kori. Githae was arrested on Monday afternoon after being lured into a police trap. He was then taken before Kiambu Senior Principal Magistrate Stella Atambo, but did not take plea. The police obtained orders to hold him longer pending investigations. Githae lives in Ruaka and runs Mipals Travel Adventures and Hire on Kimathi Lane, Nairobi. 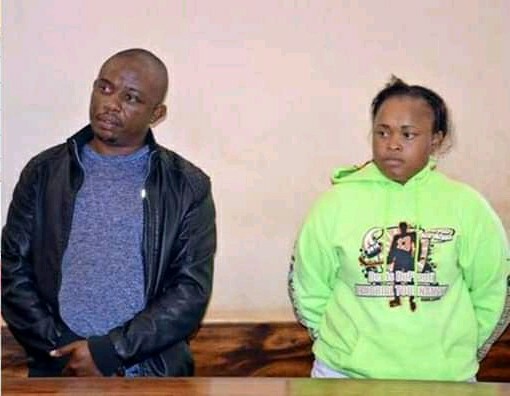 “Investigating officer Cornelius Arwasa told the court that preliminary findings show that Githae could have been involved or participated in the commission of the offence,” says a report on the Daily Nation. The report further says that a sworn affidavit in court says that evidence gathered suggests that Githae was at the scene of the murder around the time the incident happened. Also, Githae and Wangui were in constant communication after they left the estate soon after midnight. “We got footage and other evidence showing Githae was in Four Ways Junction Estate during the suspected time of the murder and that he was in constant communication with Wangui on the night of January 26 up to about 3am on January 27. We also have evidence showing that Githae went to Juja area where the body of the deceased was discovered later that day [January 27],” says the affidavit. The Nation also reports that police have confiscated Mr Githae’s phone for forensic examination at the DCI Cyber Crime Unit. His registered mobile numbers have also been forwarded to the Safaricom head office for analysis. “According to police sources, the suspect also hired a car — a KCE series — which Ms Mungai used to drive to Ms Wambui’s home at Safari Park Garden and later to Homeland Inn, Thika Road, where she left it on claims that it failed to start. According to the footage, Ms Wambui and Ms Mungai, after a merrymaking session at Homeland Inn, arrived at the estate at 6.24pm using the former’s white Mercedes Benz saloon car. They were captured being cleared at the main gate,” Daily Nation reports.